Noted for his phenomenally successful Date Book calendars of the 1950s and 1960s, Randall was born in 1911 and attended the Chicago Art Institute. He worked as a commercial artist until the war during which he joined with the French underground on a counterpropaganda campaign to create anti-Nazi artwork. Randall first gained notice in 1946, when Esquire selected him as a regular contributor to their Gallery of Glamour. 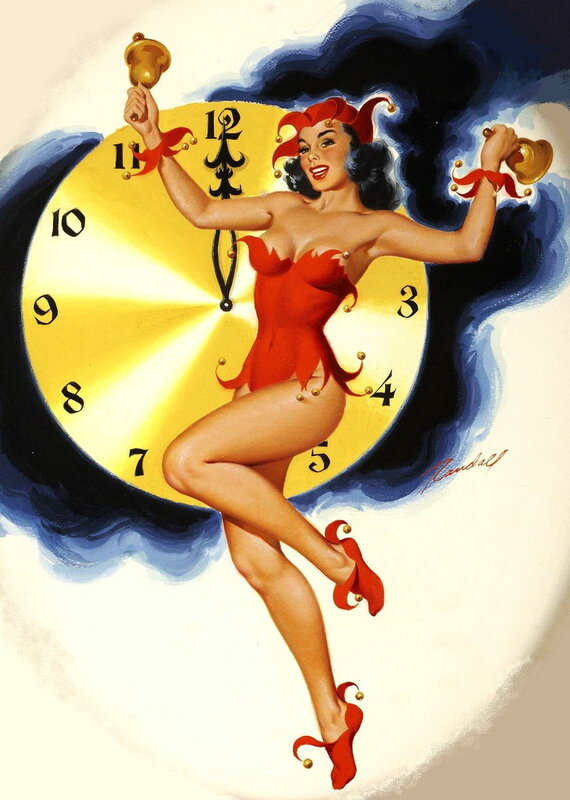 He also painted centrefold pinups for Esquire and contributed ideas to their yearly calendar. Randall also produced a great deal of advertising art for American Corporations. Randall also produced a great deal of advertising art for American corporations. 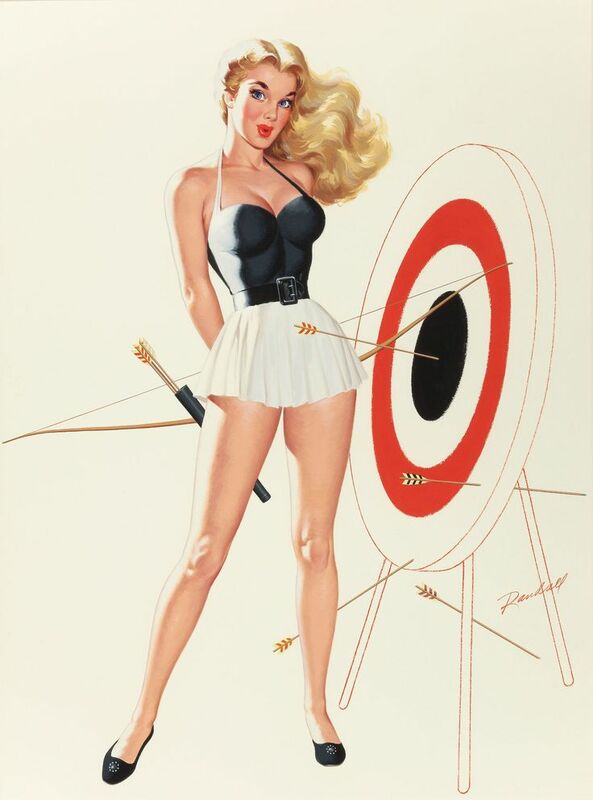 Scotch Brand Cellulose Tape, Minnesota Mining and Manufacturing, Palmolive Soap, White Rock, and General Motors were among the many mainstream companies that incorporated his pin-up images into their advertisements. In 1950, Randall did a front-cover painting for Parents magazine. The same year, he also began a series of front covers for American Weekly, Hearst's Sunday magazine supplement, which throughout the decade brought his pin-up themes to a larger audience of American readers than any other magazine. 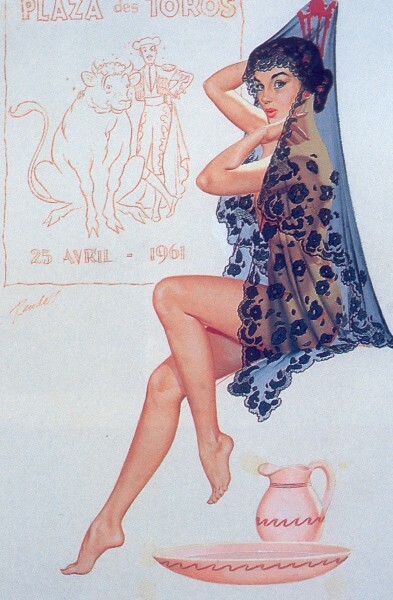 Randall Also provided a similar set of images to Hearst's other Sunday supplement, Pictorial Weekly, and created a notable string of front covers for Collier's from December 1952 to April 1953. The first of Randall's Date Book calendar series was published in 1953 by the Kemper-Thomas Calendar Company in Ohio. One of the most successful in the company's history, the series is sometimes compared to the Artist's Sketch Pads published by Brown & Bigelow. However, Randall's sketches were executed in gouache rather than pencil and were drawn on an overlay rather than on the painting itself. The result was that his calendars had a more light-hearted feeling, accented by the cartoon-like side sketches. That a photograph of Randall often appeared on the front of the calendar only enhanced his celebrity. Though he is best remembered for the Date Book series, he even illustrated seven books during his multifaceted career. Bill Randall biography borrowed from The Great American Pin-Up by Charles G Martignette & Louis K Meisel.